The British Journal of Aesthetics (BJA) conducts competition each year for candidates pursuing full-time undergraduate or graduate courses at art and design schools or in fine art/design departments in any country. 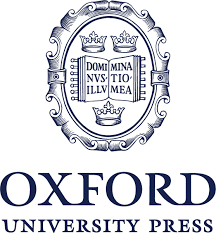 The Interested candidates will have to design a cover for the journal, which is published by Oxford University Press (OUP), both in print and online. The overall cover design includes an image, generally a black & white photograph of a sculpture or a detail from a print. The specific brief for this year’s competition is to design a cover on the theme ‘Art in the digital age'. Entries to the competition must be submitted by email to: bjacover@queens.ox.ac.uk. All entries must be accompanied by a .pdf containing a scanned letter, signed by the entrant, stating details of the course on which he or she was enrolled on January 30, 2015, together with the entrant’s contact details. Colour: There is no restriction on the use of colour. Each entry will be judged by a panel of judges consisting of the Editors of the BJA, the Publisher of OUP’s philosophy journals, Sarah Scutts, and the distinguished graphic designer John Morgan. Decisions and rulings of the judges are final and binding. The judges’ decisions will be final and no correspondence will be entered into in relation to their decisions or the competition. The winner and runners-up will be notified by email in November 2015.